The Magnetic Fridge Fronts is a really cool invention that turns any of your appliances (Refrigerators, Stoves, Washing Machines or any large metal surface) into a work of art. In a matter of just a few minutes you can transform your kitchen into a brand new look using any number of picture perfect scene's. 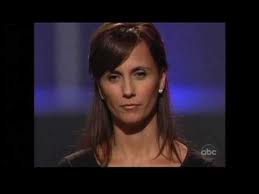 Jan Augenstein came into the Shark Tank needing a $100,000.00 for a 30% stake in the Fridge Front Business. She got her inspiration for this now patented idea when Jan was a Military wife living on Base and wanted an inexpensive way to spruce up the kitchen. It was such a good idea that Jan's Brother partnered with her and so far has sunk $250,000.00 into getting this business off the ground. Jan brings out a less than desirable looking refrigerator and proceeds to completely transform the front in a matter of seconds. The magnetic backing can easily be taken right off and replaced with a very impressive list of other fridge fronts already to choose from. 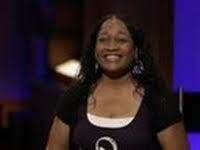 In 2005 Augenstein had her invention on Sky Mall catalog doing $40,000.00 in sales, but it cost $18k for advertising. In 2008 the Queen of the Kitchen, Rachael Ray ran an episode when Fridge Fronts were featured on her TV show in front of millions of viewers. The positive response was overwhelming with thousands of requests coming in before the show even finished. In fact, so many people were interested in this very unique way to transform your entire kitchens look, they collectively crashed the Fridge Front's website. With getting this priceless publicity from Rachael Ray you would think their problems would be solved and the Brother/Sister Business would finally turn a profit with all the orders pouring in. Not so fast. As the saying goes (especially with a new start up) if it can go wrong, it most likely will just to test if you REALLY have what it takes to succeed. Long story short, the company hired to do the printing went bankrupt before fulfilling the Fridge Front order that Jan already paid in full. With not a hint of every giving up, three years later Augestein lands on this brand new business reality show, The Shark Tank. The two seasoned Sharks that were brought over from the Dragons Den in Canada, Kevin O'Leary and Robert Herjevic, both agree the Fridge Front is more of a product and not necessarily a business. Daymond John also agrees he doesn't think he can add any value and also goes out. 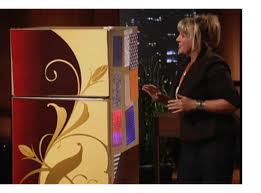 Kevin Harrington asks about how much product Jan currently has on hand which at the time was 5 custom designs which you cut with scissors to fit any refrigerator, stove, dishwasher or even a microwave. She then goes on to explain that eventually, she'd like her website setup for people to send their photos and she'll custom make their Fridge Fronts. The possibilities are endless if this company gets to that level. Apparently Barbara Corcoran did not agree with the custom made Fridge Fronts idea and want Jan to stick to her 3 best selling magnetic picture designs. For this Barbara says she will give Augenstein half the $100k she is looking for if she can convince another Shark to invest the other half. Kevin Harrington also has the same concerns. Jan's already spent $250,000.00 to develop and design the fridge fronts she is currently selling, and cannot see putting in more money developing custom made Fridge Fronts made from the customer's pictures. Hmm, I personally loved that idea. Kevin agrees to go in on Barbara's deal for $100k but he wants them both to have a 25% stake or a combined 50% of the Fridge Front Business. Already $250k in the hole and no hope for a successful future if she can't find an investor, Augustin gladly accepts Kevin and Barbara's deal. This is quite an interesting update after spending maybe a little too long trying to find out what happened after the show. The good news is there's now dozens of different Fridge Fronts to choose from several themes. The not so good news is finding anything where Barbara and Kevin actually completed the deal seen on the Shark Tank. On Barbara's site, she does list around a dozen successful deals she has completed, but the Fridge Fronts is nowhere to be found. Same with Kevin Harrington with no mention of him anywhere concerning this product. It certainly wouldn't be the first time a deal was struck on the show that did not materialise during the due diligence phase, but I was not expecting this very cool invention to be one of them. Especially when the Sharks negotiated 50% of the company with such favorable terms. Maybe there lies the problem? It's also kind of interesting there seems to be no FaceBook Fan Site or Twitter account for the Fridge Fronts. It may not have seemed like no big deal a few years ago, but these days it will COST you money if your not taking advantage of all the free publicity social networking has to offer. The good thing is it's never too late getting started building up a list of Fans for any product or service. All in all, I think the Fridge Front's have enormous potential as a product and as a successful business. I also think there is still a lot of money being left on the table until Jan realizes her ultimate vision where you can download your own picture and have it custom made into magnetic fronts for all your appliances. Obviously, one would already expect to pay more for a custom fridge front versus a stock one, but on the other hand, it's only $59.00 to completely transform a full sized refrigerator. An additional cost added on to a custom front would be well worth the additional expense to me. Even if it cost double to use an image that really means something to you, it would still be a bargain. I look forward to doing more updates and uncovering what happened between Jan, Barbara, and Kevin. If by chance you may know more details about what happened, please do share. I myself and other reader's of this blog would much appreciate any more information. Thank-you!! For More Information on Dozens of Fridge Front Designs to choose from. They also have a instagram where you can Hashtag pictures of the fridge fronts to share with the world. Instagram: fridgefronts and #fridgefronts for the pictures. I will try to find out if they struck the deal or not. I'm in love with the idea and the product! It's an amazing final result! I looked for their FB page under Fridge Fonts..nothing there. What is their FB page called? Thank you. 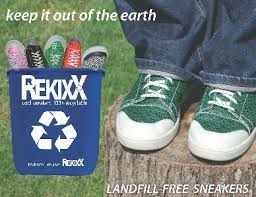 I googled and found a ton on it and in 2014 they seem to be kicking, including a website with lots of designs. This is an awesome concept and is a inexpensive way to kick up your decor in your kitchen or with any appliance.